What assistance can be provided to disadvantaged youngsters to help them conquer the many challenges they face while growing up? At-Risk Children & Youth: Resiliency Explored analyzes the results from accumulated research on the risk and resiliency of children and youth in Ireland. Author Niall McElwee explains many of the challenges faced by children, including poor literacy and numeracy skills, poverty, distrust, and other difficult issues. Practical strategies are presented to help disadvantaged children and youth to overcome societal and self-imposed barriers for improvement. A detailed review and assessment is provided on the efficacy of Ireland’s Youth Encounter Projects. This important resource focuses on what works and what does not in youth services. 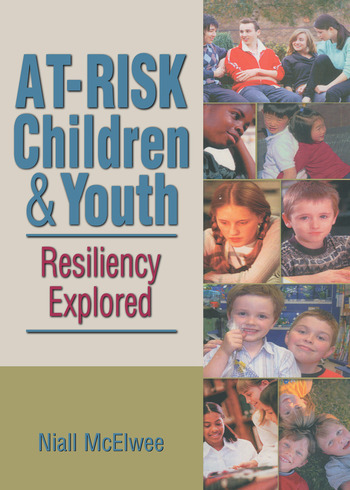 At-Risk Children & Youth: Resiliency Explored closely examines risk factors, and what it specifically means to be ‘at-risk’. Going further beyond the standard risk factors usually considered such as drug use or dropping-out of school, this probing text explores the full range of factors and coping and healing mechanisms. The author challenges several of the views and beliefs about risk and resiliency generally held by many in child and youth services and in society. This book is extensively referenced and includes helpful figures tables to clearly present information. At-Risk Children & Youth: Resiliency Explored is a valuable addition to the libraries of educators, students, and child and youth service providers everywhere. Foreword. Acknowledgments. Irish Association of Social Care Educator’s Lifetime Achievement Award Presented to John Hanna. Chapter 1. Snowflake Children. Chapter 2. From Risk to At-Risk. Chapter 3. A Focus on the Personal and Structural: Resilience Explored. Chapter 4. Riding the Juggernaut in the Risk Society. Chapter 5. Putting the Study Together. Chapter 6. Now Is the Time: A Toxic Era for Child and Youth Care. Chapter 7. “Learn What You Like and Like What You Learn”: The Youth Encounter Projects and St. Augustine’s Special School, Limerick City. Chapter 8. Listening to ’At-Risk’ Youth. Chapter 9. Framing the Future for Children and Youth in the Risk Society. Chapter 10. Children and Youth: The Evolution of At Risk to “High Promise” Youth. Index. References.